What does a filter remove from the air you breathe in your home? Over the last decade, there has been an increase in the purchase of air purifiers for the home. Part of the reason for this is the number of reports on contaminants that are floating around in the air. 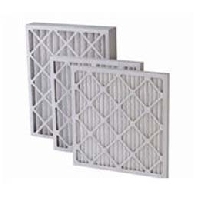 Whether you want to remove a bad smell from the air or you feel that you are breathing better with an air filter, you join almost every other homeowner. When considering a purifier, there are a couple of different choices. There are also all kinds of different filters. The question becomes, what does a filter remove and does that really make a difference? When going shopping for a purifier and filters, you have to keep in mind is that none of these are going to keep everything out of your air. The goal should be to get the right kind of filters that will keep things out that bother you and your family. If someone in your house suffers from asthma, there are purifiers equipped with filters that will be able to take dander and dust out of the air that triggers attacks. When you are talking about removing actual particles from the air, you are most likely talking about the kind of filters that will actually catch those particles and trap them on the filter. As a general rule, these particles are big enough that they actually can be caught on the filter. That means that they are not microscopic. Having said that, you would be surprised at the size of dust particles, even in a relatively clean house. There are also filters that will actually charge the air that is flowing through the device and make smaller particles like dust or skin flakes so that they actually stick together. Once these small particles are charged and are sticking together, they will collect on filter plates and clean air passes on through. Where these kinds of filters are going to fall short is if you really are looking to get rid of a bad smell or actually remove a gas from the air. Filters that take care of gasses or odors are out there and they work differently to capture what is moving through the air. These kinds of filters use something called a sorbent that actually works to absorb the gas. By using an approach like this, the filters can actually remove the odor from the air and the air that is moving through the filter will be cleaner and less smelly on the other end. While most home air purifiers are using filters that are built to remove larger pieces of dust and other irritants, there are also filters that will remove viruses and bacteria from the surrounding air. These filters use UV light to actually burn the diseases out of the air or on surfaces where mold and other contaminants can grow. These kinds of filters are used quite a bit less in a residential setting and are far more prevalent in places like medical facilities. Some lower end UV filters can actually be deployed at businesses that store food. There is a filter that will remove almost any kind of contaminant if you look hard enough. Finding the right filter for your home just requires a little bit of homework on what you need removed from the air.